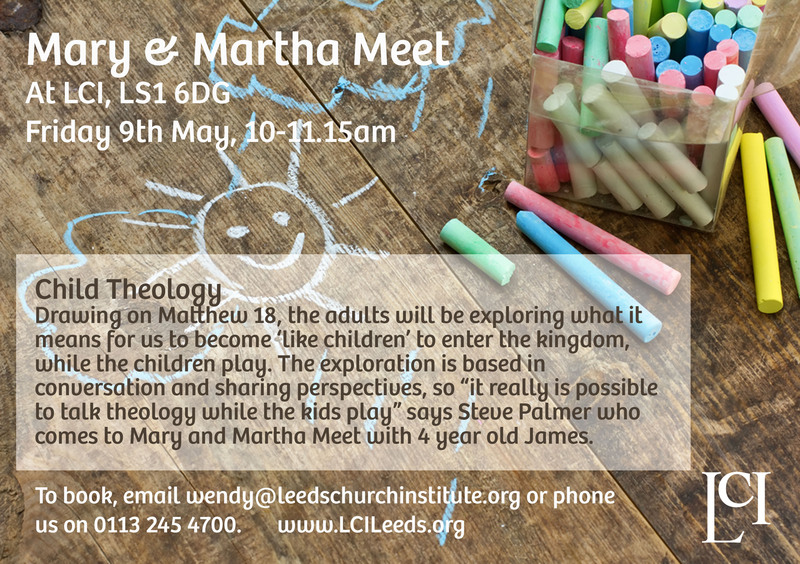 Drawing on Matthew 18, the adults will be exploring what it means for us to become ‘like children’ to enter the kingdom, while the children play. The exploration is based in conversation and sharing perspectives, so “it really is possible to talk theology while the kids play” says Steve Palmer who comes to Mary and Martha Meet with 4 year old James. Join us in this creative space for the roles of ‘Mary’ and ‘Martha’ to meet.